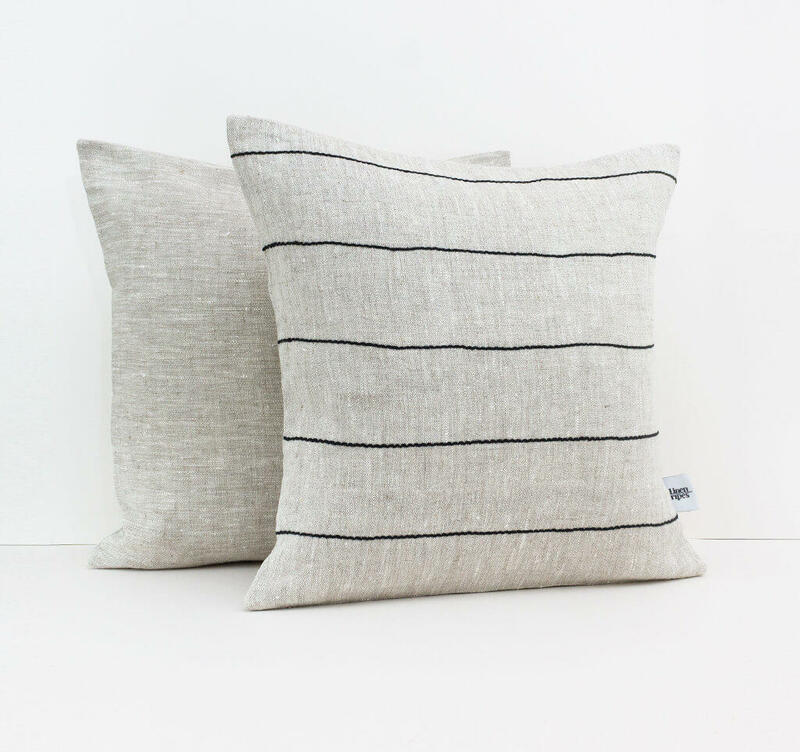 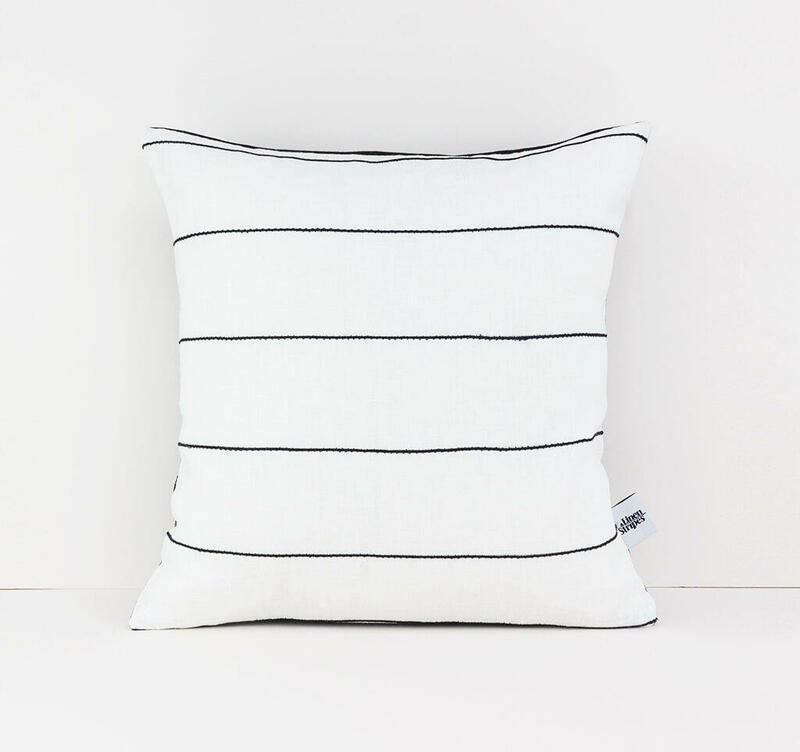 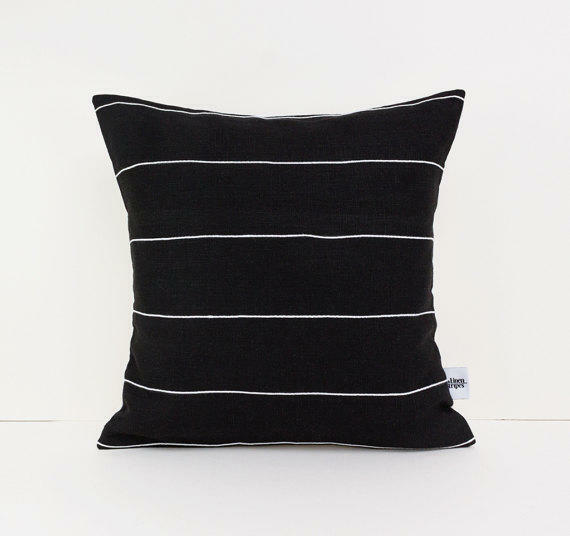 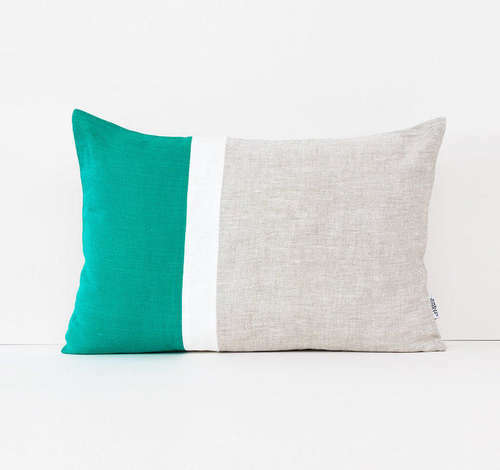 Stylish natural linen cushion cover with cotton lines handmade to order in Liverpool. 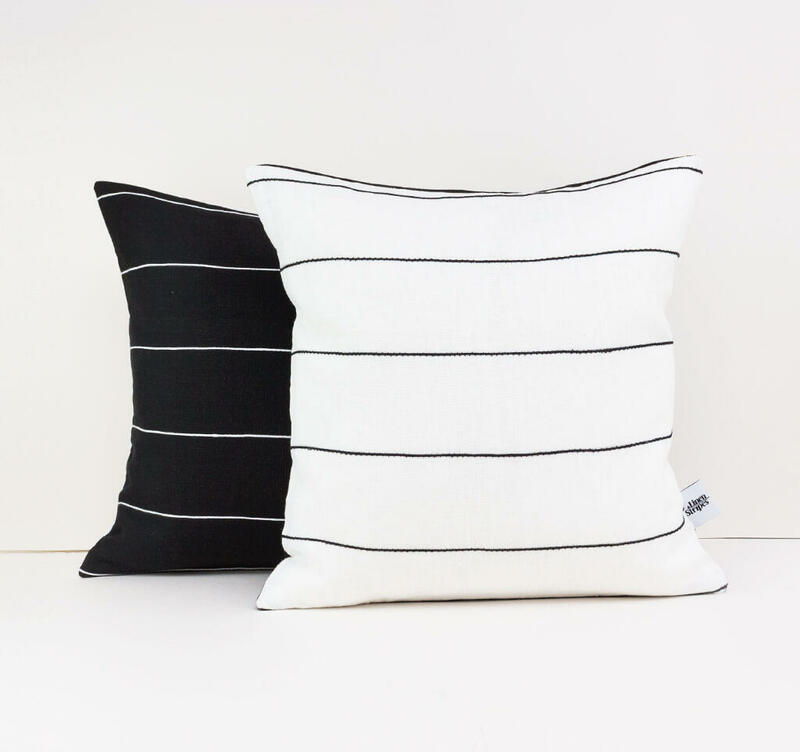 Available in two sizes, please contact for custom sizes. 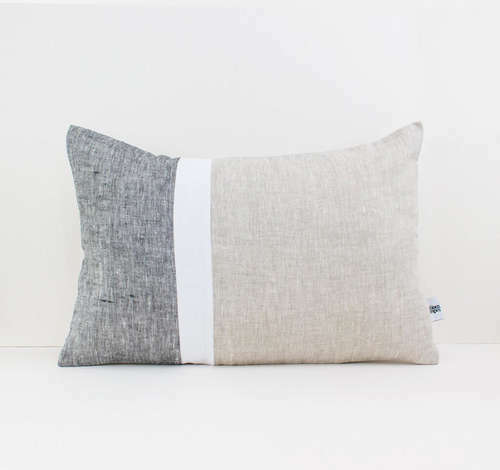 Materials: 100% Eco-friendly linen, 100% cotton yarn.